As our school district and community grow, we are committed to preserving the small school atmosphere where students and families are known by staff and treated with respect as well as providing educational experiences in which the entire family can participate and be proud. Thank you parents, students, staff, and community. Our combined efforts show in the results, and the results speak for themselves - together we make a difference. We invite you to use our district website to learn more about our district programs, schools, and successes. For information about employment with J.O. 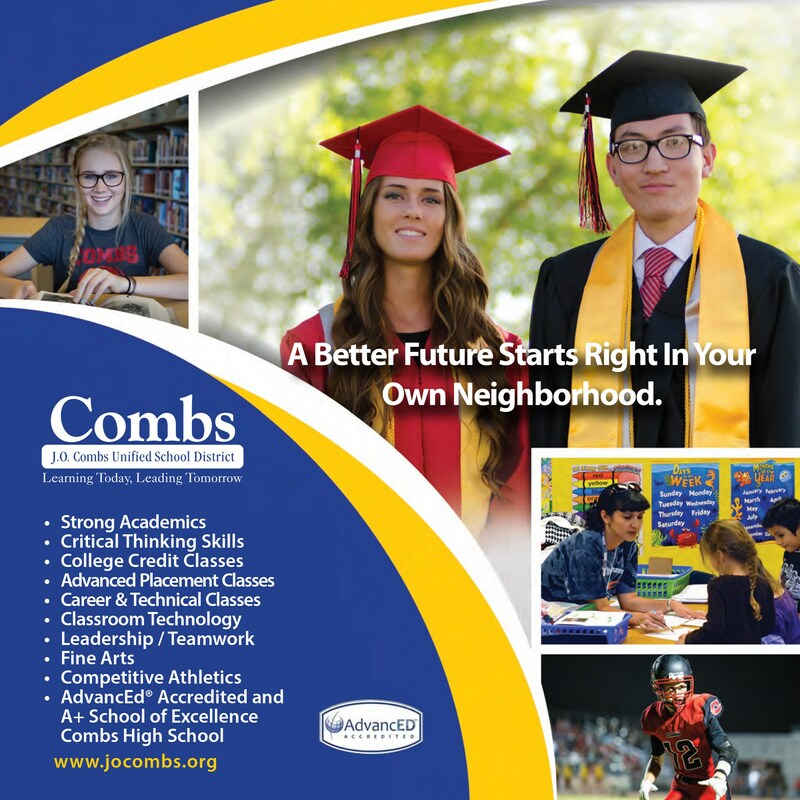 Combs, click on our employment area, or you can visit our school sites, help our district take advantage of School Tax Credits, review the district calendar, and much more. If you have any questions or comments, please contact us directly.